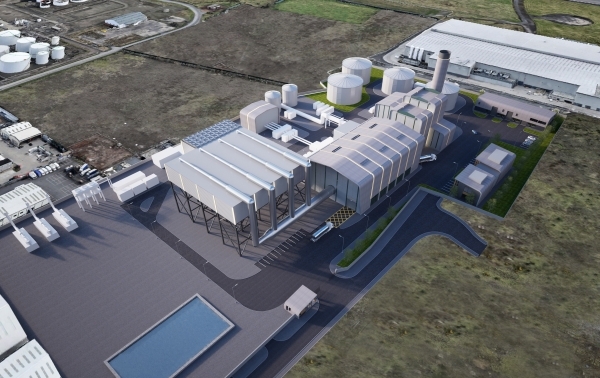 Belfast Power Limited, the company behind proposals to develop a new, 480 megawatt gas-fired power station in the Belfast Harbour Estate has welcomed the Department for Infrastructure’s Notice of Opinion to approve the project. When developed, the Belfast Power Station will provide electricity for over 500,000 homes and businesses across the region, representing a significant shift towards low-carbon energy generation in Northern Ireland. It comes at a critical time in Northern Ireland’s energy industry and will play a vital role in ensuring security of supply, delivering sustainable, indigenous generation as older generating stations are decommissioned in the coming years. The project will also create significant direct economic benefits. At over £300 million, it will involve one of the biggest single private investments in Northern Ireland and will create approximately 700 jobs during the construction phase. Upon the project’s completion in 2022, it will support more than 35 full-time operational roles. The plant will be built by world-renowned engineering company, Siemens and will be one of the most efficient of its kind anywhere in the UK and Ireland, meeting all modern environmental standards. Given the regional significance of the project, the planning application was submitted directly to the Department for Infrastructure in April 2017. “We are pleased that DfI has issued a Notice of Opinion to approve the Belfast Power Station project. “This is a critical time for Northern Ireland’s electricity industry, and the power station will play a central role in ensuring we have enough electricity to meet demand over the coming years. “DfI has been thoroughly professional in its approach to the application since it was submitted in April 2017. Belfast Power Limited will in the coming days participate in the T-4 capacity auction, which is being overseen by the Utility Regulator to secure electricity generation for the period commencing September 2022. “Work will then start onsite in autumn of this year and the plant will become operational in 2022."